They say you should never meet your heroes, but maybe you shouldn’t see them on the big screen either. The modern crop of superhero movies has included a few masterpieces, such as Batman Begins and Spider-Man, that manage to appease comic fans and be legitimately good films. On the other hand, Green Lantern shows just how wrong things can go. 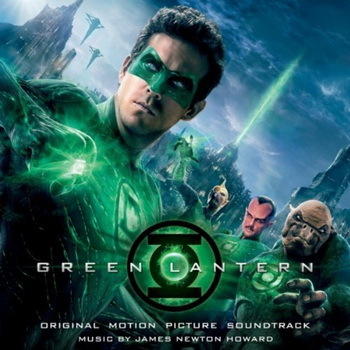 The small budget (only $150 million) Green Lantern film, starring Ryan Reynolds, has nothing in common with the comic book that inspired it. Reynolds’ goofy, incompetent Hal Jordan is nothing like the self-confident hero fans admire. Instead of seeking to overcome his limitations, as the comic version did, this Hal Jordan brings everyone down to his level of childishness. 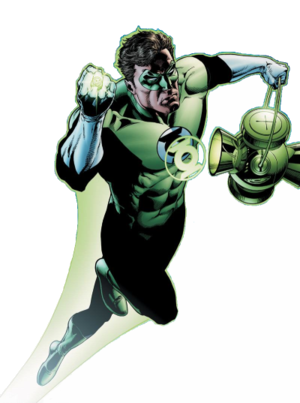 Green Lantern as drawn by Ethan van Sciver. Image courtesy of Wikipedia. The aesthetics of Green Lantern are also completely skewed. Every character sports overly-textured skin, with either scales or exposed muscle fiber, that makes them look completely different (and much uglier) than their pencil and ink counterparts. The Lanterns’ headquarters on Oa, a modern city bathed in the light of a giant lantern-shaped “Central Power Battery” in the comics, looks like a cave. They even got Hal Jordan’s mask wrong. Some might argue that none of the above matters: pleasing comic fans and pleasing the general public are not the same thing (for example, Watchmen was a faithful tribute to the graphic novel it’s based on, but was a little too strange for non-nerds). But that would mean the resulting movie should still be good, and it was not. Green Lantern was full of lame jokes, awkward dialogue, and Reynolds was so two-dimensional that I had more sympathy for the villains. In the pantheon of superheroes, Green Lantern has never had the fame of Superman or Batman. Superheroes in general have little inherent appeal outside specific audiences; most people expect a man in tights and some explosions, which seems a bit silly. The superhero films that succeed do so because they show audiences why they should care about these characters; the filmmakers take them seriously. Comic fans already take superheroes seriously, and rightfully so. Superheroes were created in and for that medium, and trying to turn them into anything besides comic book characters will always end badly. Just ask Hal Jordan. This entry was posted on June 21, 2011, 3:32 am and is filed under Nerd Stuff. You can follow any responses to this entry through RSS 2.0. You can leave a response, or trackback from your own site.